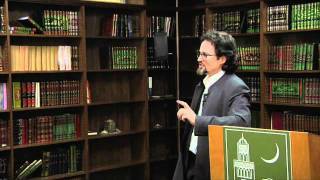 Hamza Yusuf is a co-founder of Zaytuna College, located in Berkeley, California. He is an advisor to Stanford University’s Program in Islamic Studies and the Center for Islamic Studies at Berkeley’s Graduate Theological Union. He also serves as a member of the board of advisors of George Russell’s One Nation, a national philanthropic initiative that promotes pluralism and inclusion in America. In addition, he serves as vice-president for the Global Center for Guidance and Renewal, which was founded and is currently presided over by Shaykh Abdallah bin Bayyah, one of the top jurists and masters of Islamic sciences in the world. 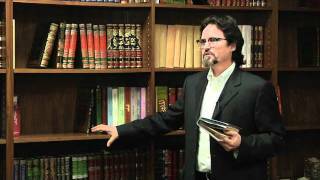 Recently, Hamza Yusuf was ranked as “the Western world’s most influential Islamic scholar” by The 500 Most Influent Hamza Yusuf is a co-founder of Zaytuna College, located in Berkeley, California. He is an advisor to Stanford University’s Program in Islamic Studies and the Center for Islamic Studies at Berkeley’s Graduate Theological Union. He also serves as a member of the board of advisors of George Russell’s One Nation, a national philanthropic initiative that promotes pluralism and inclusion in America. In addition, he serves as vice-president for the Global Center for Guidance and Renewal, which was founded and is currently presided over by Shaykh Abdallah bin Bayyah, one of the top jurists and masters of Islamic sciences in the world. 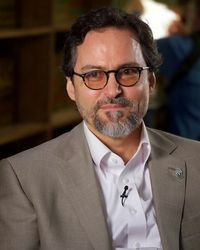 Recently, Hamza Yusuf was ranked as “the Western world’s most influential Islamic scholar” by The 500 Most Influential Muslims, edited by John Esposito and Ibrahim Kalin, (2009). Hamza Yusuf has served as an advisor to many organizations, leaders, and heads of state. He has been an innovator in modern Islamic education, founding the highly imitated Deen Intensives, and with Shaykh Ibrahim Osi-Afa, he started the first Rihla program in England, which has been running for over fifteen years. Dozens of young Muslims who were influenced by his call to reviving traditional Islamic studies in the West went to the Muslim lands in the nineties and early part of the current decade to study, many of who are now teachers in their own right. With Eissa Bougari, Hamza Yusuf initiated a media challenge to the Arab world that resulted in a highly successful cultural religious program that he hosted for three years and was one of the most watched programs in the Arab world during Ramadan. Cambridge Media Studies stated that this program had a profound influence on subsequent religious programming in the Arab world. He has also been interviewed on BBC several times and was the subject of a BBC documentary segment The Faces of Islam, ushering in the new millennium, as it aired at 11:30pm on Dec. 31st 1999. Hamza Yusuf has been a passionate and outspoken critic of American foreign policy as well as Islamic extremist responses to those policies. He has drawn criticism from both the extreme right in the West and Muslim extremists in the East. Ed Hussain has written that Hamza Yusuf’s teachings were instrumental to his abandoning extremism. Hamza Yusuf isn't a Goodreads Author (yet), but he does have a blog, so here are some recent posts imported from his feed. Is this you? Let us know. If not, help out and invite Hamza to Goodreads.